Today only get a great price on a high rated HP laptop! 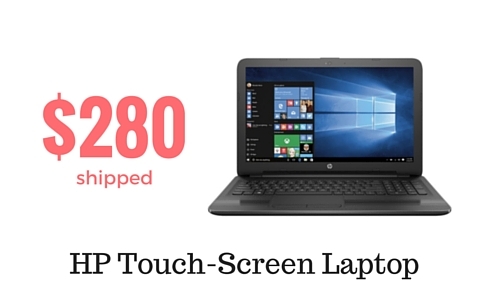 This HP touch-screen laptop is $279.99 on sale right now. It has a 1 TB hard drive, 15.6″ screen and runs on Windows 10. This is $120 off the regular price and about $50 cheaper than any other prices we are seeing right now. You can also get $100 off iPads too! 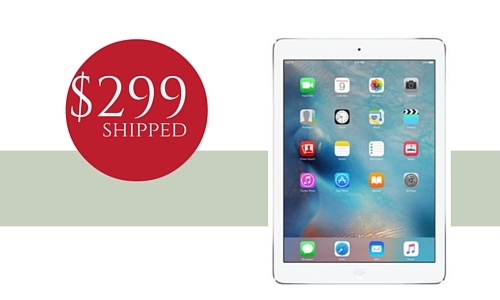 Grab an iPad Mini for $299.99. Both of these sales are today only for a Cyber Monday in July sale.